Datastream offers many pre-defined constituent lists for market indices, allowing you to extract data such as share price, market value, etc. for a number of companies at the same time. 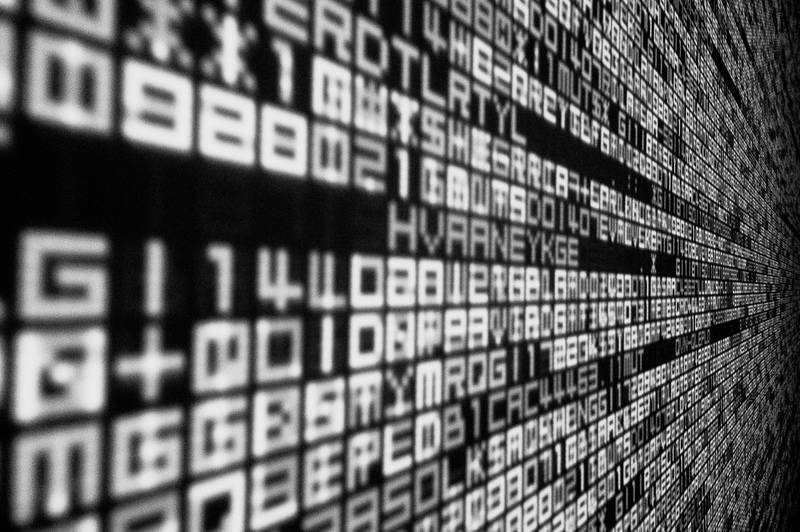 In a previous post, on Creating and Using Datastream Constituent Lists, we outlined one way you can create your own bespoke list of companies. 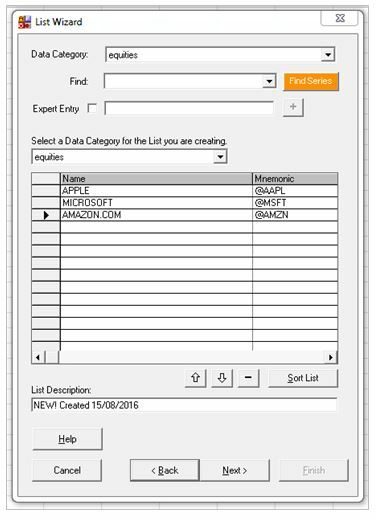 Here we introduce you to the List Wizard, a useful tool within Datastream, allowing you to create a new list from scratch, or edit existing lists that you have created previously. 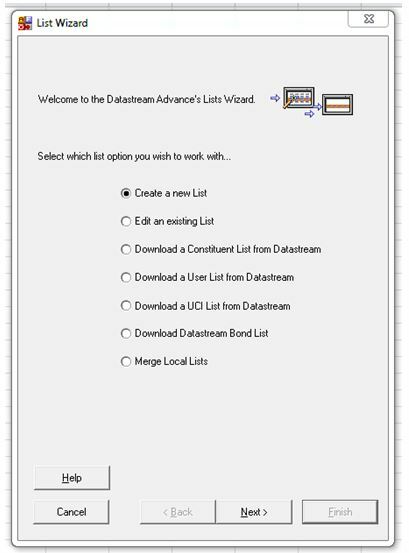 To get started, select ‘List Wizard’ from the Datastream AFO Menu in Excel. In the List Wizard dialogue box, select the option to either ‘Create a new list’ from scratch, or ‘Edit an existing list’. You can also choose to download a pre-defined constituent list from Datastream here. When ready, click on Next. If you have chosen to create a new list, the ‘Find Series’ button allows you to look up individual companies and create your own defined list. Alternatively, it’s here you can add/delete companies from an existing list. Clicking on the ‘Find Series’ button opens up the ‘Datastream Navigator’ where you can select your companies. Once you have added your companies, make sure to give your list a name in the ‘List Description’ box, and then click on Next. On the next screen, ensure you give the ‘List File’ a name you will remember (it must end in .LLT), and click on Finish. Next time you run your Time Series or Static Request, you’ll be able to find your list of companies by clicking on ‘List Picker’ button. As always, if you have any questions about using Datastream, please contact MIRC.